I’m not going to talk about the environment or the urgency of tackling the crisis of climate change and global warming. Instead, let’s take a look at the cost benefits of going green. To get more information about how an SME can go green, the types of ratings, certification costs, and the benefits and ROI, we had a chat with the Indian Green Business Council (IGBC). The green business tips explained in detail in this article are a summary of the chat with Sandeep Vullikanti, Counsellor, IGBC, Confederation of Indian Industry (CII). It will help SMEs understand how to design and build your office, factory and operations as a certified green business aligned with the elements, or Panch Mahabhutas. 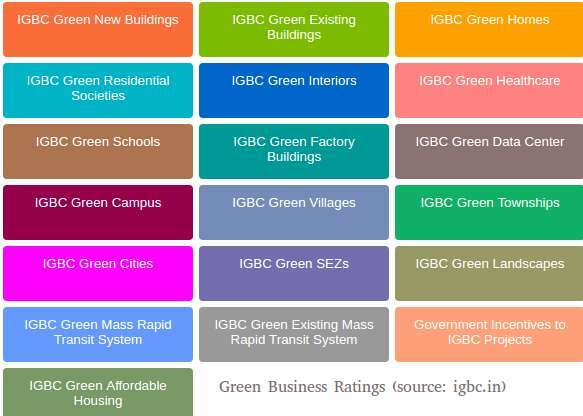 These green rating systems, including for IGBC Green Factory Buildings, Green SEZs, and existing buildings, are a combination of the latest cleantech, environmentally friendly construction materials, and the ancient architectural concepts based on the five elements (Panch Mahabhutas). This is a concept of sustainability as applied to architecture. Nature has a balance that is maintained by the five elements (earth, water, fire, air, and ether / void), and anything derived from these five elements is returned back to it. As applied to architecture, a building that takes from nature must give back in order to maintain the balance. When you apply for IGBC green certification, you’ll have to come up with a top to bottom design for sustainability that ensures your building, plant, office and/or operations are able to maintain this balance. For example, if you’re digging up top soil for a project, then it can be used for landscaping. To reduce costs of heating and cooling, you have to look at roof gardens, SRI paints, glass u-value, power generating lifts, sealants, recylable materials, etc. To see how this is actually achieved in practice, read this case study of the CII Sohrabji Godrej Green Business Centre in Hyderabad. When it was inaugurated in 2004, it was the single-highest LEED platinum rated building in the world. If you want green certification for an existing factory building that are retrofitting, it will add around 2% to the cost. The implementation of these green practices is done according to national building codes, uniform energy codes, and other compliance requirements. There are both tangible and intangible benefits of getting green certification for your office, factory and/or product and business operations. According to IGBC data and studies of successful green certified projects by Infosys, Bombay House and others, you will recoup the ROI from the extra costs of Platinum IGBC Green certification within a span of 2-3 years, and start generating cost savings after that. This includes energy savings of 30-40%, and water savings of 20-30%. The intangible benefits include a big boost to wellness and productivity among the building occupants because of natural lighting during the day, the improved air quality, workplace safety and improved health. If you’re an SME with a large group of employees working in the building, you can expect a 13-15% performance increase in a green building, as compared to the usual concrete and steel sheds that industrial workers spend their whole lives in. – 78% occupants are satisfied with the acoustics in their space. Last, but most importantly, occupants of green buildings are highly aware of the importance of green buildings. A full 93% of the occupants of the seven green buildings included in the study were found to be well educated on the benefits of green buildings and eco-friendly practices.